Due to recent changes in federal law, we have removed all of our lion products from Bones to Pick. The African Lion has been added to the Endangered Species List, making interstate sale of lion parts illegal in the United States, so we will no longer be dealing in them. The new law goes into effect January 22nd, but we are taking this measure preemptively so that there is no chance we will still have lion pieces in transit at that time. As of today, I’ve performed my last post office run before the holidays. Due to holiday family functions, unforseen work and holiday gift delivery times, plus numerous other factors up to and including sheer exhaustion, I will not be making any more post office runs until after the holidays (after New Year’s and such have passed). Any orders from BtP or any trades that need going out will be done after that time. Any orders made prior to today (Friday, December 18, 2015) have been processed and shipped. Any orders made today and onwards will ship after January 2, 2016. I would like to take this time to thank all of you here for your continued support of Bones to Pick, and would like to wish everyone a very safe, happy and blessed holiday season. I will be more in touch after the new year comes in. Best wishes to everyone. For me, after work and such clears up, it’ll be lots of food, family, booze and numerous other related shenanigans. Cheers and Happy Holidays, folks! This rather explains the primary drive behind our philosophies here at Bones to Pick. Of those claws that we posted, one is a fully cleaned specimen wire-wrapped in brass for use as talismanic jewelry. The others that we posted are sold “as is”. These claws came from an old, vintage Tanzanian lion rug. These are all bone-in; some may have tanned flesh and fur still attached, some claws may show natural damage. Please see photos. I actually prefer relics like these over the sanitized ones, as they provide more useful materia to connect with the animal’s energies and also vibrantly express character unique to the living animal that once owned them. Please feel free to check them out on our website and do feel free to get in contact with us if you have any questions. There are a vast array of laws in the United States and worldwide governing the sale, trade, possession, import and export of animal parts. A somewhat comprehensive list may be found here. 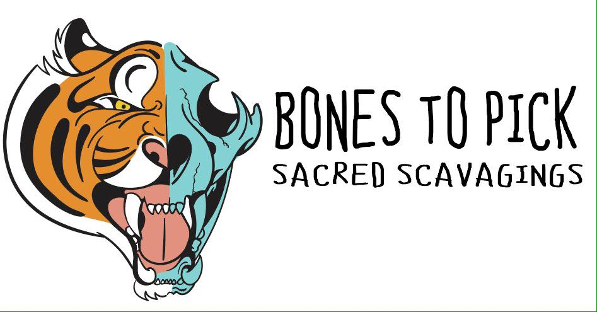 Due to the complexity of the laws involving international trade, we at Bones to Pick will presently not sell any of our pieces which involve animal parts internationally. We will only ship them to valid US addresses. Within the US, each state has their own laws regarding such items. We abide by federal law and by the laws of the states we live in. It is the buyer’s responsibility to make sure that the items they are purchasing from us are legal to own in their home state. Finally, and this should really go without saying, please do not ask us to procure animal parts which are illegal under federal law. We will bend over backwards for our customers, but we are not willing to commit a felony for you. We are, however, willing to work with you to try to find a legal alternative that will suit your spiritual needs. I’ve received a lot of inquiries about the lion claws I posted earlier this week. Please note that these are not the only claws that I have, nor will I be posting these for sale all at once. Remember that I am also a spiritworker, not just a peddler in animal parts. I address each claw individually as it comes into my hands. Sometimes divination or other work may need to be done. Some may be worked into ritual jewelry pieces, some may be sold as is. Please keep watching Bones to Pick for further info on when they’ll become available. Thanks all for your interest and patience. A small handful of the African lion claws I’ll be working with in the next days. The claws of a lion (but one could say, any big cat) represent many things to many people. Royalty, gold, the blazing sun, and cleansing flame. Big cat relics are thrilling to have and thrilling to work with, but that thrill always has a price. You must be ready to handle the burn, to brace yourself for claws sinking deep within your soul. Cats never give it away for free. They honor strength, and abhor, even punish, weakness. I make it a point, ritually, to never deal too deeply with big cat relics while I am sick, or mentally off kilter. So they will sit with light and water until they are ready to be worked or offered as is.